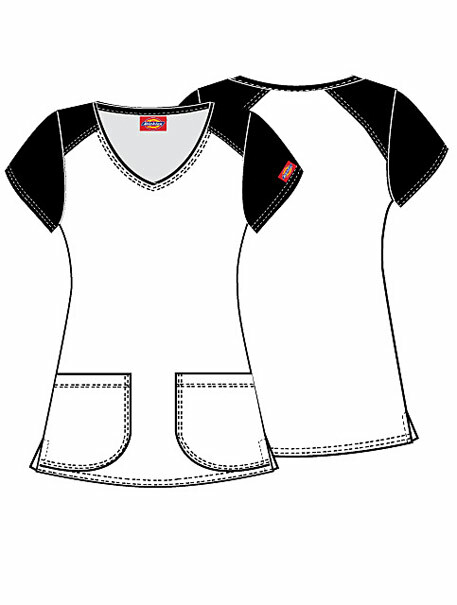 A mock wrap top with a cross-over inset features Dickies logo twill tape at the back neck and as an instrument loop inside the left patch pocket. 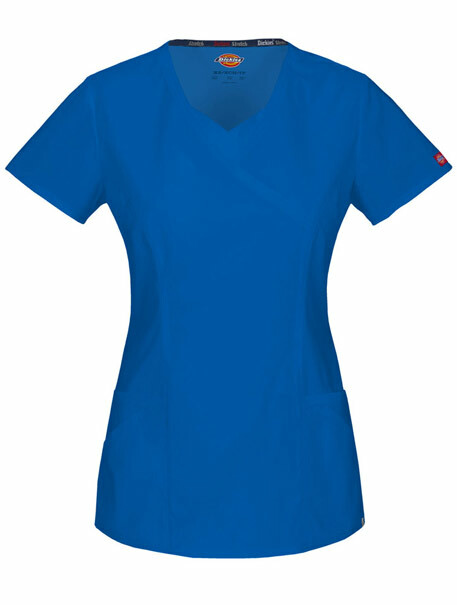 Also featured are four front pockets, an exterior loop and stylized seams. Back darts and side vents complete the look. Center Back Length: 26"